Palmako Irene 21.9m² Log Cabin: Palmako Irene 21.9m/sq Log Cabin features 44mm Walls and Double Glazing making it the ideal building to use 12 months of the year. 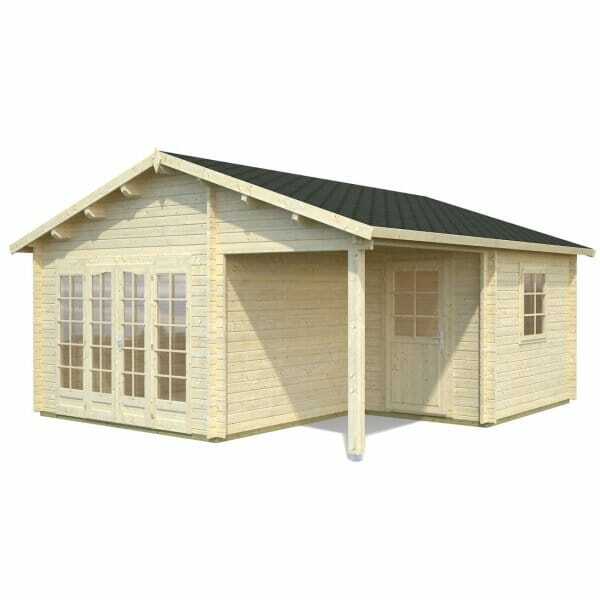 Superb quality North European Spruce means that the manufacturing tolerance can be very fine so as to produce a cabin that is perfect as a garden office, childrens play room, maybe a retreat in the garden or many other uses. The Palmako Irene Log Cabin Can be built either as show or vice-versa i.e. with doors to right and windows to the left. Formerly called Palmako Grace and Palmako Thames.